Prominent & Leading Manufacturer from Coimbatore, we offer air dryer, air accessories, air receiver and heat recovery system. 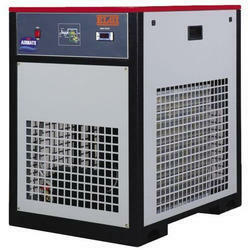 We bring forth for our clients a wide collection of Air Dryer. These Air Dryer are manufactured at our state-of-the-art infrastructure facility. Latest machines and advanced technology are employed by our experienced professionals following standards and norms of the industry. We have been counted amongst the most trusted names in this domain, involved in offering Air Receiver. This Air Receiver is available in different sizes and models as per the client’s requirements. Our product range is designed by our skilled professionals for seamless storage of air. Keeping in mind the e¿¿¿ects of Global warming in the present environment. 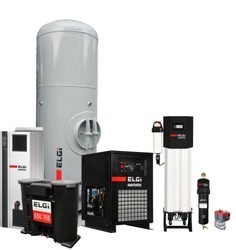 ELGi has come up with a system where in 96% of the waste heat generated from the compressor can be utilized for heating air (space) and heating water. This in turn eliminates the necessity to go for an additional equipment to heat water or Air, there by reducing the CO2 emission to a larger extent. 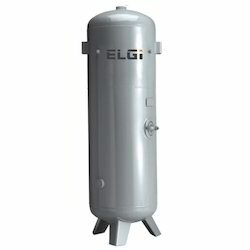 ELGi is known for providing custom-engineered solutions to meet the compressed air needs. The company collaborates with clients to understand their changing needs and designs solutions accordingly.